Manchester United maybe won, but the performance they have shown to the fans at Old Trafford was far from great. 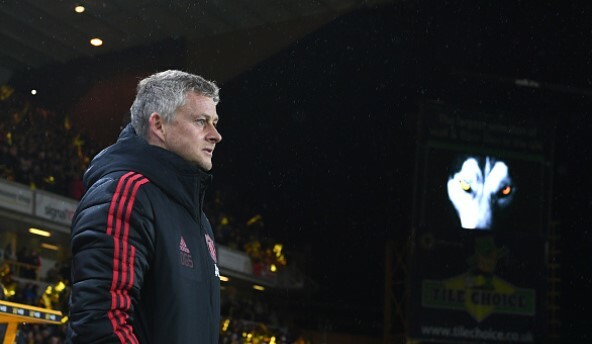 The only really good thing about this match was that Ole Gunnar Solskjaer’s team returned to winning games and now the sights should be set on the match against Wolves. But first, let’s talk about some underlying numbers in this match. So, we will start from the expected goals, as usual. The main story about this match was that Man United were far from their best, with a poor performance in all departments, but still somehow managing to win the game. But the xG is telling us Man United had better chances in this match. Their xG amounted to 1.98 goals, which is basically where United ended up, scoring twice. However, this story is tainted a bit by Martial’s two shots in the same chance, with his first shot being saved and the next one being a goal. These two shots have a cumulative value of 1.63, which is impossible in one attack – you can score only one goal per attack. This has shown us that Understat’s xG model is far from perfect and if we assume Martial’s expected goals for scoring from one of these two consecutive shots was 1.00, then United’s total xG would fall to 1.35. Watford’s xG of 1.35 was decent and maybe on another day they would have scored twice, but they have accumulated this number from 20 shots. Therefore, you get the picture why this match was seen as much different than to what Understat’s xG numbers are initially telling us. Man United were not that good and on another day, we could have easily seen an entirely different result. Chris Smalling and Phil Jones were under a lot of pressure yesterday. At some parts they did a decent job, but all in all, they never looked completely certain in themselves. The centre-backs had a lot of work on Saturday and one stat shows it very well. Smalling and Jones had 19 clearances combined in this match, all from the heart of the penalty area. They were too often made to make such clearances, either from crosses or long balls, but it looked like on couple of occasions they could have been a bit more composed. Also, Man United in total had 37 clearances and half a dozen of them came from far away from goal, showing how the players were not truly able to stay focused in possession. Roberto Pereyra had a really good game for Watford on the day and he did what he usually does. He created five chances for his teammates and he did well to control Watford’s attacks from the left channel. Pereyra had 78 touches of the ball, mostly on that left side, where he was finding pockets of spaces to operate. He even had two successful dribbles in the final third, moving the ball forwards and being proactive for the most part of the match.